Many Australian women seek work in the charity and philanthropic sectors here in the UK. Courtney Ireland is one such woman. Since moving to London, she has built a great career and undertaken an epic challenge as part of The Great Big Walk - an idea from the Eden Project which saw 14 walkers cover 1,400 miles to shine a light on community projects across the UK. Courtney grew up in the south east suburbs of Melbourne in Australia. I asked her what it was like growing up in this area. Her answer reminded me to be grateful that Australian children have access to so many outdoor opportunities. Many Australian women want to establish careers that align with their values. I wondered what shaped Courtney’s career choices and how she found her way into the community sector after a corporate beginning. I asked Courtney why she decided to move to London and how she found the transition. Courtney now works for the Eden Project, one the UK’s most beloved educational charities that connects people with each other and the living world. In her role with the Eden Communities team, she works with powerfully ordinary people in communities across the UK to make positive change where they live. I asked her how she scored such a fantastic job. Community engagement is a passion for Courtney and a key part of her work. I asked her to tell me about her work and what she is learning from it? 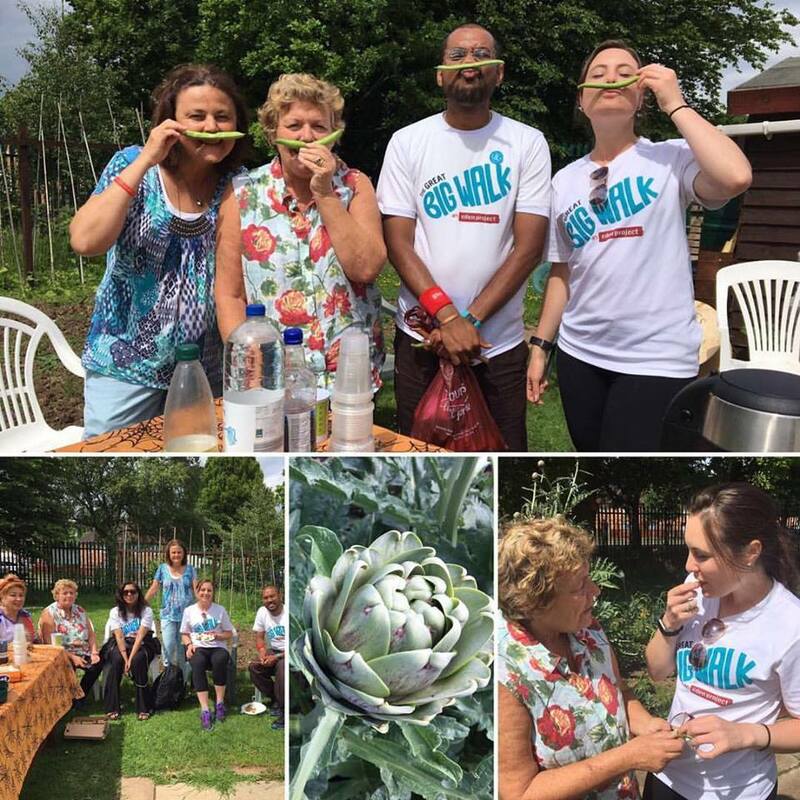 Readers may know that earlier this year, the tragic death of politician Jo Cox resulted in an outpouring of grief but also inspired communities to come together and celebrate her life and values through initiatives like The Great Big Walk and The Big Lunch. Courtney took part in The Great Big Walk. I asked her about the highlight of her experience. Courtney Ireland set off on The Great Big Walk. Courtney Ireland meeting local communities at an allotment Leicester, 2017. Courtney Ireland on The Great Big Walk, 2017. I asked Courtney about career advice for other women travelling to London. Getting the heads-up from friends who have made the journey here is important. I asked Courtney if there was anything she wished she had known before she boarded the plane. Finally, I asked Courtney to give me a list of her favourite experiences in London. “The parks! I have been surprised by the number and size of the parks in London and by what a green city it is. London has some beautiful green spaces that are well planned and so lovely to spend time in. I’m always impressed by the floral displays, incorporation of ‘wild growth’ areas and still get excited every time I see a sparrow or little red robin flitting around.